Wow! Can I eat that??? 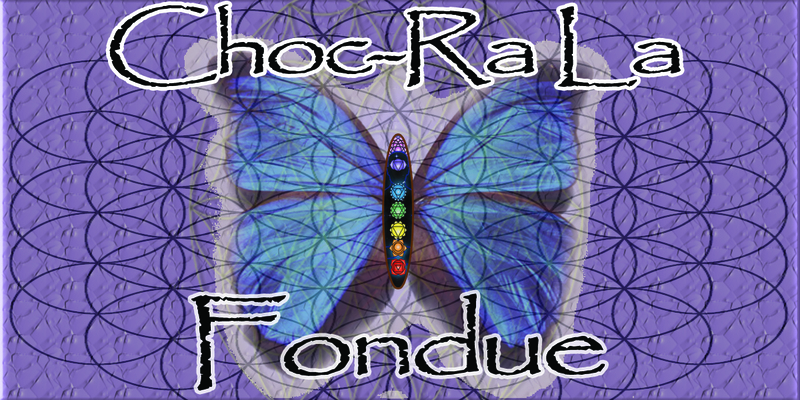 Choc-Ra La Fondue – Fudgy Truffle Base with Naturally sweetened Raw Cacao, essence of Vanilla & Coconut. Cold – spoon it while it melts in your mouth. Warm – Dip Fresh berries or any fruit. Melt – Topping for the perfect Sundae! $10 for 9 fl. oz. Open House Special until May 17th! Buy 2 Get 1 Fre-E! Pure Love the base of all our creations! 75% Raw Cacao, Sweetener of Choice, Tahitian Vanilla ‘Caviar’, Real Salt, and Love. Pure Love – Crunchy Almond, Local, Sprouted & Snappy! ~ oo ~ Special Open house Price until May 17th ~ oo ~ 5 for $20! This entry was posted in Events, Posted, Press This, Promotions, Uncategorized and tagged Cacao flower, Chocolate flower. Cocoa Flower. Bookmark the permalink.